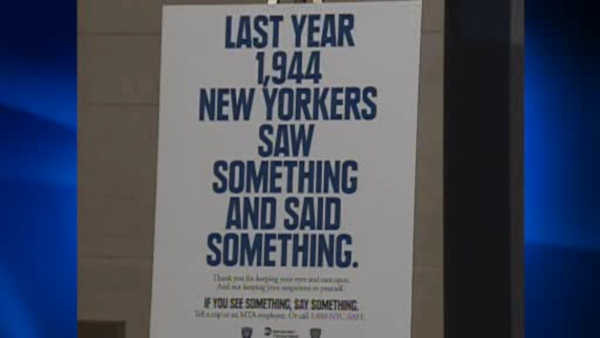 Could there be changes to MTA's 'If you see something, say something' slogan? NEW YORK (WABC) -- On Monday, we will learn about changes to the well-known public safety campaign 'If you see something, say something'. The MTA has scheduled a news conference to announce the details. Since 2002, ads have had the famous tagline. The MTA says the slogan will remain, but another will be added. In addition, spots will now feature stories of people who have reported something suspicious.